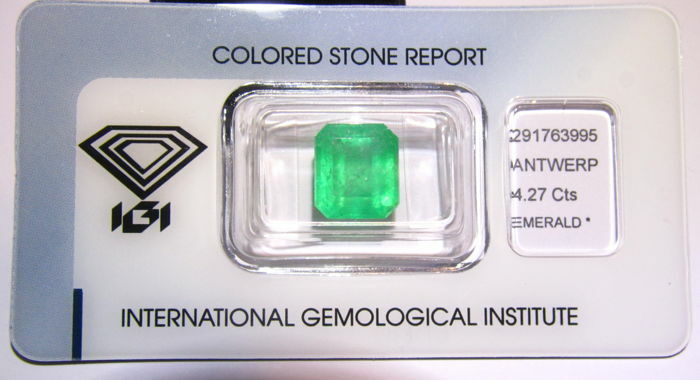 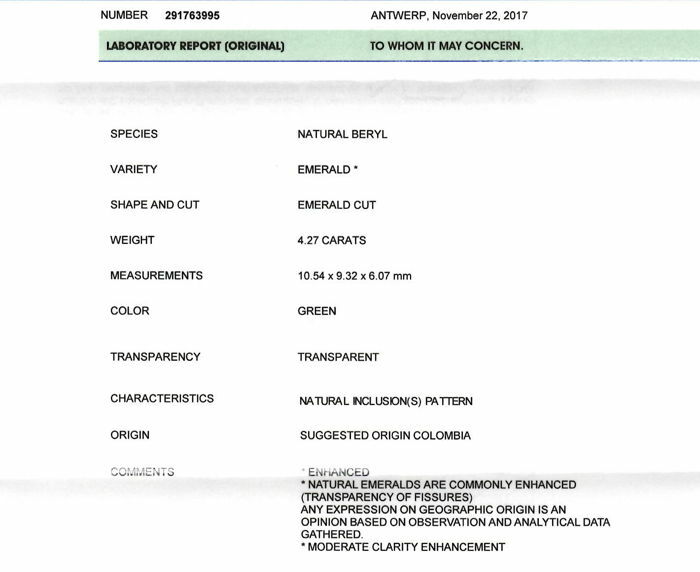 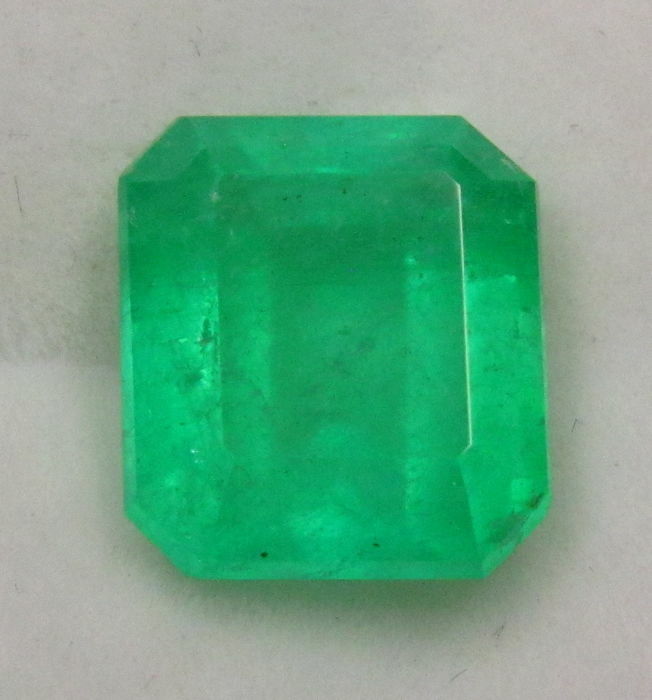 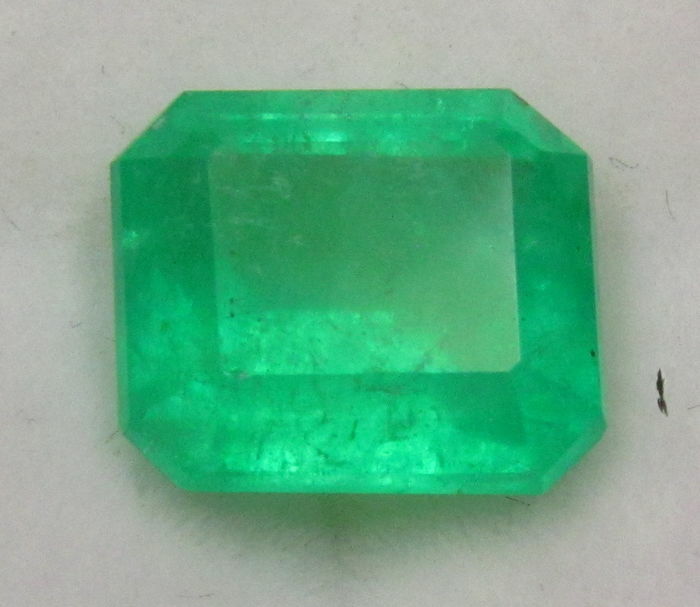 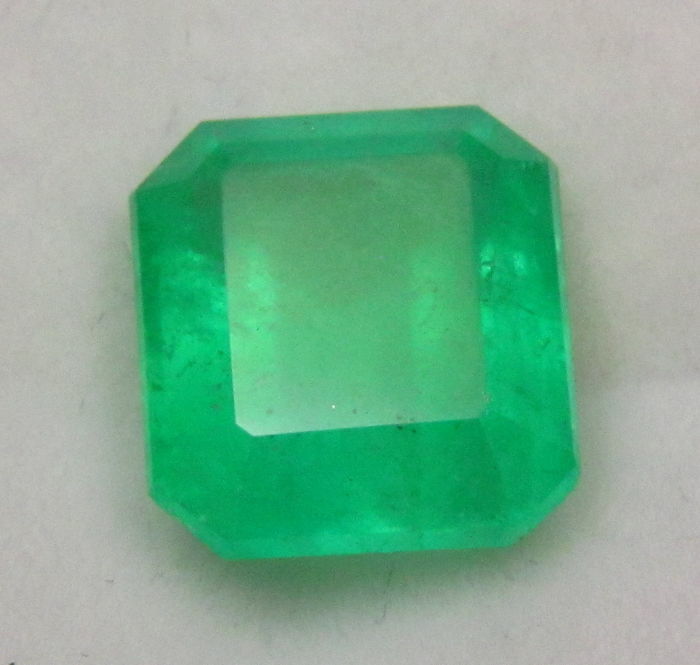 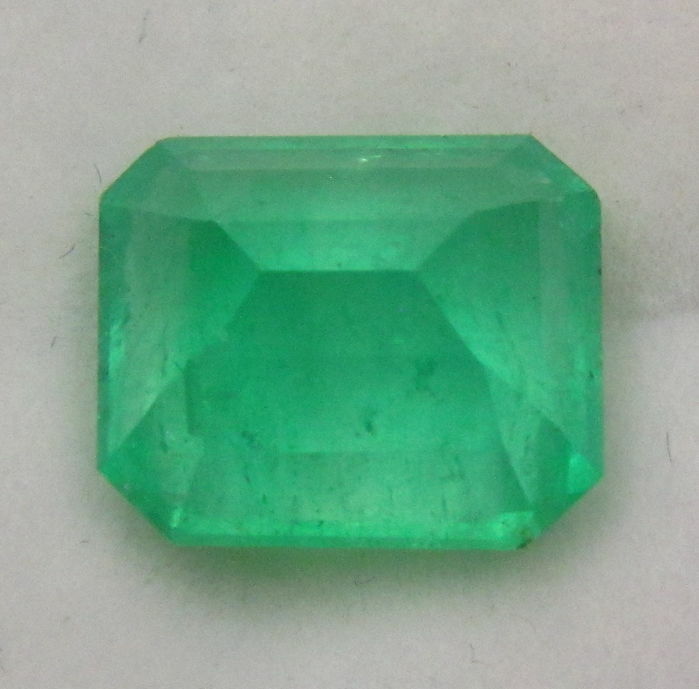 Deep green Colombian Emerald with velvety luster. 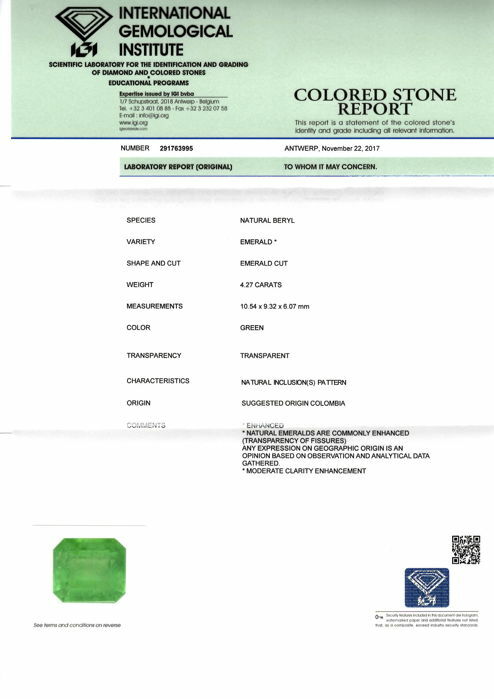 Certified origin. 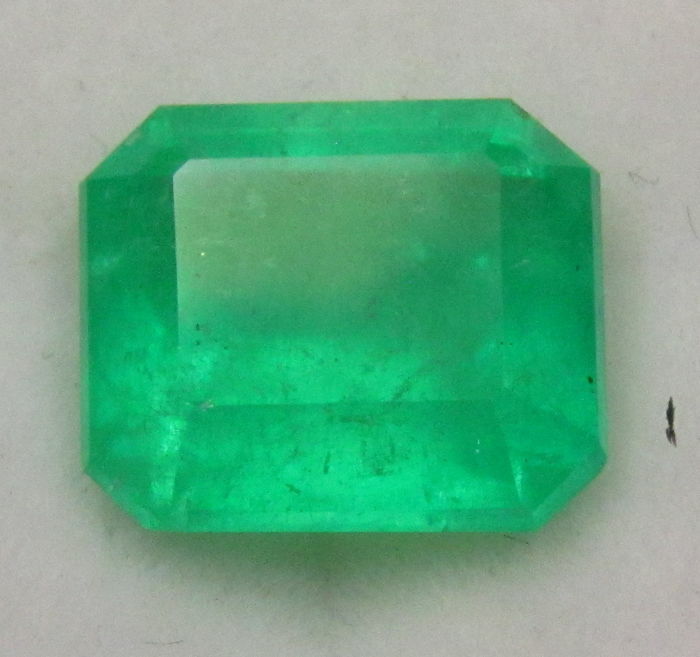 Measurements: 10.54 x 9.32 x 6.07 mm.